in 360i News, Social Media with tags earth day, Scotts Miracle-Gro Both comments and trackbacks are closed. In appreciation of Earth Day, 360i client Scotts Miracle-Gro is encouraging consumers to re-think their day—motivating them to take the things they would normally do inside, outside. 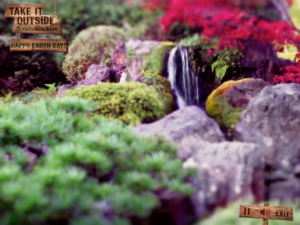 Today, the brand unveiled a new digital campaign, called Take It Outside, in an effort to get people to appreciate what’s outside their window and experience all the wonders nature has to offer. Scotts Miracle-Gro hopes that in keeping this initiative in mind, a person is more likely to enjoy even their own little piece of the earth in the days, weeks and years to come. 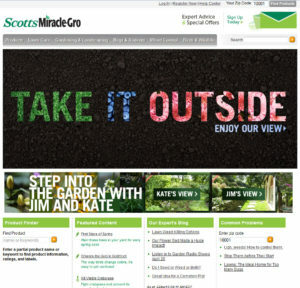 Leading up to the holiday, we helped Scotts Miracle-Gro develop and distribute digital content across Miracle-Gro’s Facebook and Pinterest communities as well as Scotts Lawn Care’s Facebook community. The visually aesthetic creative is intended to encourage people to share, converse and, well, encourage them to step outside, and is complete with language such as “Recharge your Batteries. Take it Outside!” Cover photos were likewise updated with similar “Take It Outside” CTA messaging. The brand also implemented a Pinterest activation with four influential social enthusiasts covering everything from outdoor home décor and fitness, to kid-friendly activities and food. They’ll be featuring meals that can be made outside, DIY nature projects, outdoor workout routines, various after-school children activities and more. Additionally, we have launched a dotcom takeover for those who can’t make it outside of the office or wherever they may happen to be on Earth Day. 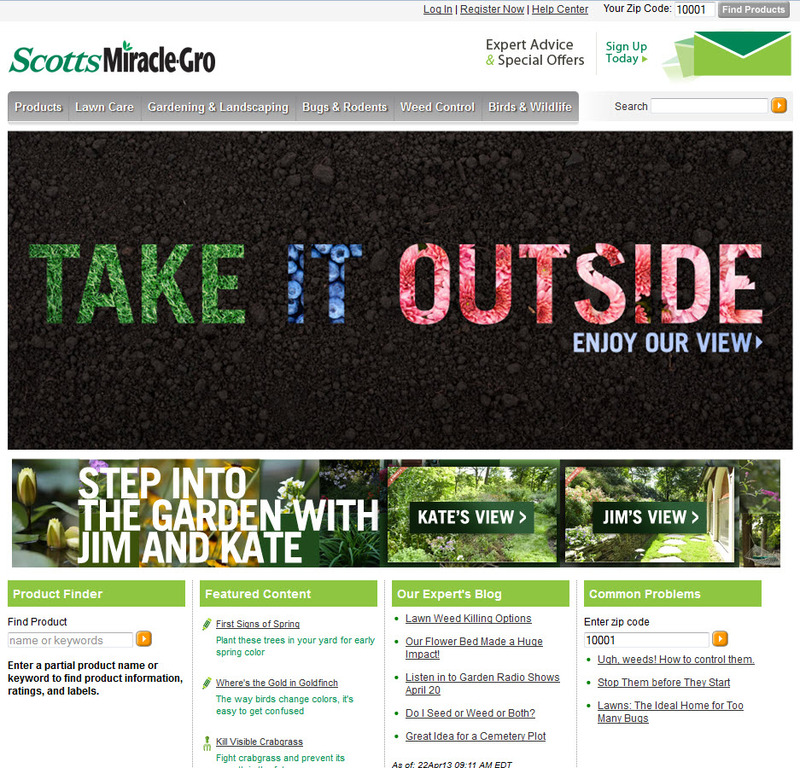 Scotts Miracle-Gro will be bringing the outside in by taking over the company’s and brand’s like Miracle-Gro and Scotts Lawn Care sites for a day with beautiful sights and sounds of gardens, lawns and nature. 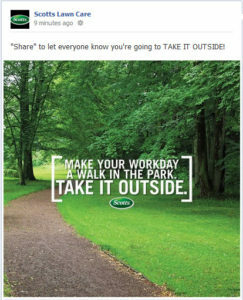 And finally, Scotts Miracle-Gro will be encouraging “office field trips,” sending a message, that will cleverly appear to come from “the outside,” to each of its email subscribers today encouraging them to take their meetings outside.